This mural is part of a series of murals I painted for the Cortese Family in San Jose, CA. They have been a farming family in the Santa Clara Valley since 1917, but have since converted much of their farmland to commercial and apartments. 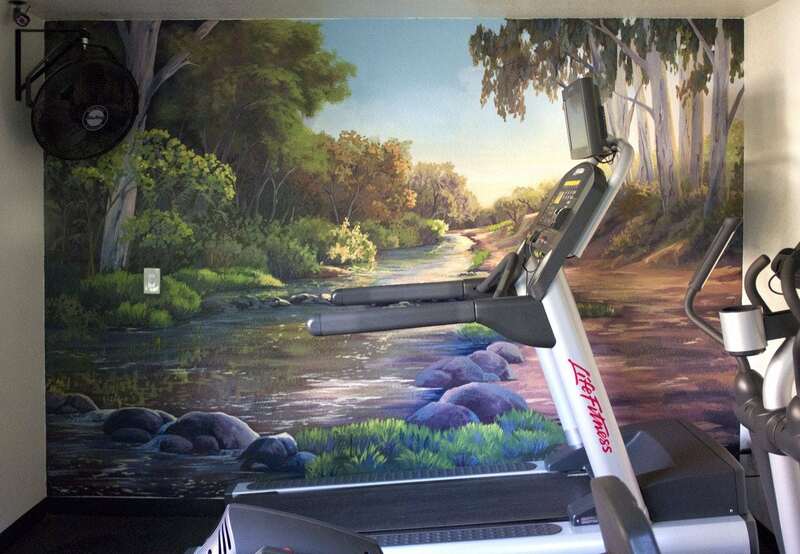 This mural was painted in one of many laundry and workout rooms at the County Club Villa Apartments. 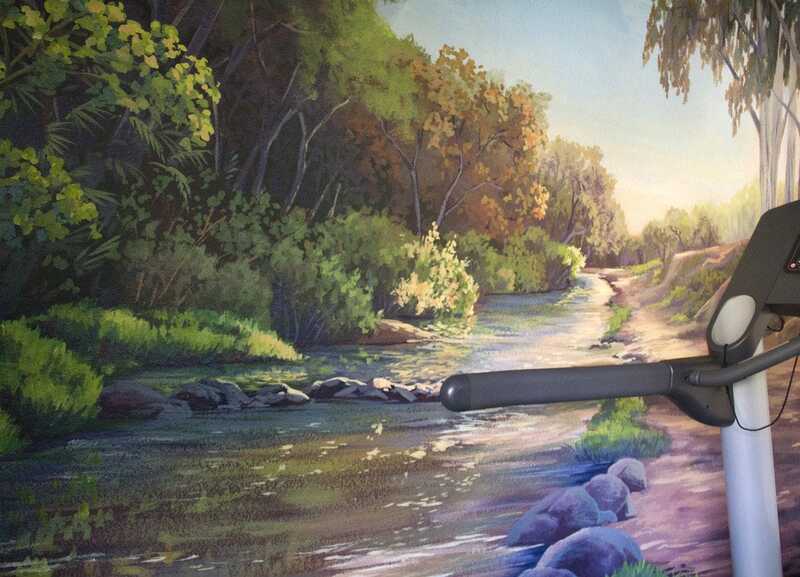 This mural is of Penitencia Creek, which winded beautifully along just a mile from the apartment complex.